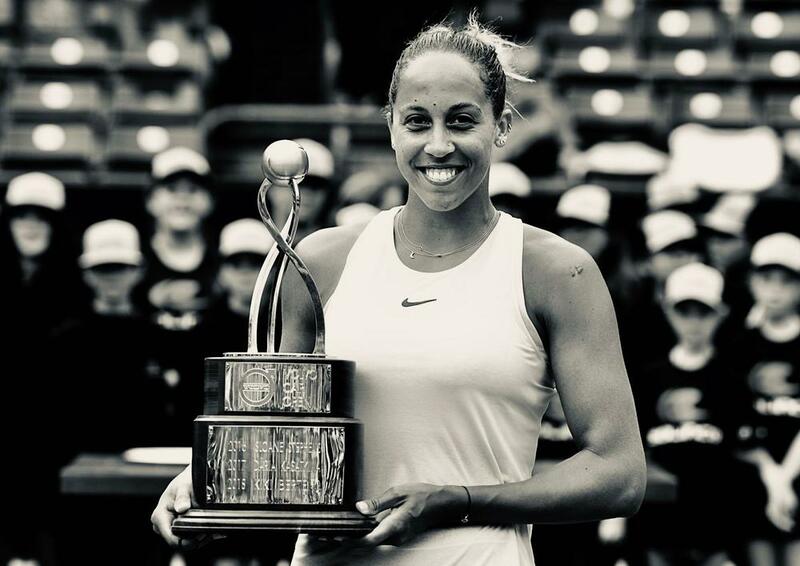 (April 7, 2019) CHARLESTON, SC – Eighth seed Madison Keys overpowered former champion Caroline Wozniacki 7-6 (5), 6-3 to win the Volvo Car Open on Sunday. For Keys of the U.S. this is her first-ever title at a clay court event. She reached the final of Charleston back in 2015. It’s the 24-year-old’s four career WTA title, her first since taking home the trophy from Stanford back in the summer of 2017. She backed up her first-ever win over top seed Sloane Stephens in the quarterfinals with victory over Monica Puig in the semifinals, and earned her first-ever win over Wozniacki in the final. Keys knocked out three major champions on the way to the Charleston title – Wozniacki (2018 Australian Open title), Stephens (2017 US Open title) and Jelena Ostapenko (2017 French Open winner. “It’s definitely been a really great week for me, especially after having some really tough losses the last couple of weeks,” she said. “And to be able to really bounce back and have a really good week of training with my coach, Nacho (Juan Todero), and then be able to come and win the tournament, it definitely is a very good springboard for heading over to Europe. The last time the 2018 Australian Open champion Wozniacki captured a clay title was in 2011. In another type of “first” for the new No. 14 in the world, it was the first week that Keys was working with her new coach Juan Todero, who was her old coach in 2013 and 2014. Todero used to coach Monica Puig. Keys and Wozniacki broke each other’s serve once in the first set. During the tiebreak, the Dane made a crucial error, by allowing a high lob shot ball to drop, thinking it was out, but it was well in. It gave Keys a 6-3 lead in the tiebreak. Wozniacki fended off two set points, but could not save a third, first set to Keys. 7-6(5). Keys hit 25 winners in the first set to 24 unforced errors to Wozniacki’s 6 winners and 8 unforced errors. The second set saw Keys dominate with her forehand and her power. She made Wozniacki move side-to-side on the court like a pendulum. The No. 18 player in the world moved out to a fast 5-2 lead and Wozniacki could not catch up. Keys made 76% of her first serves with six aces. She hit a total of 45 winners during the match. She broke Wozniacki’s serve twice. When the new rankings come out on Monday, Keys will rise to No. 14, while Wozniacki will move up one to No. 12. Keys’s victory means the first 16 tournaments of the 2019 year will all have been won by different women, the first time this has happened in WTA history. You got it right, Ace!